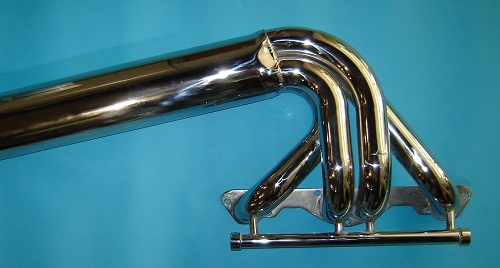 Our ALL 316L Stainless Steel 350 Chevy Mercury fresh water header incorporates a 1 3/4"primary tube (1 5/8" I.D.) The standard collector length is 8" and points down at approx. 14 degrees. This Header runs aft approximately 12" further than the stock manifold so it is important to measure the boat. 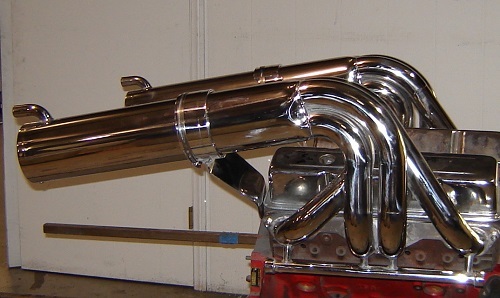 The header will be approximately 5" from touching the exhaust tip on the starboard side and 8" on the port side. 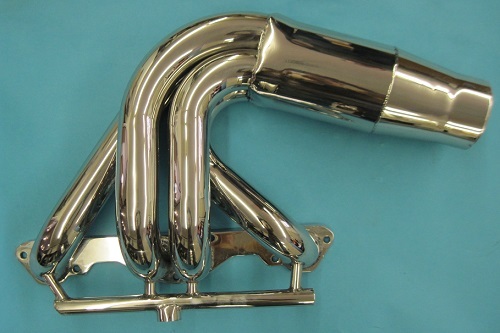 The Header can also be used on any boat where the exhaust tips are approximately 12" above crankshaft centerline and 24" apart.